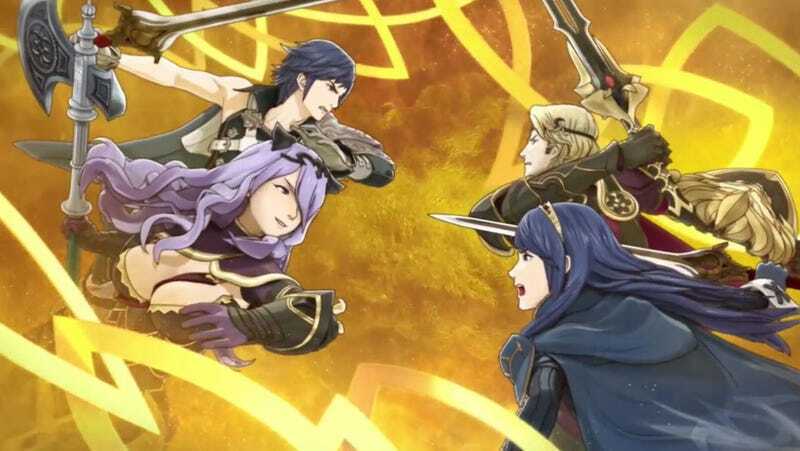 Arriving on Google Play and iOS on February 2, Fire Emblem: Heroes is a mobile turn-based tactics role-playing game in which players gather an army of iconic characters from across series history. It sounds like any number of collectible hero mobile RPGs. Players use orbs won in combat or purchased via in-app transaction to attempt to summon their favorite Fire Emblem characters into their army. Battles are the same grid-based tactical fare we’re used to seeing from Fire Emblem, only a bit more vertical. Many familiar features of the franchise are at play here, including the attribute wheel (sword beats axe beats lance beats sword). One feature that isn’t present is permadeath—characters return to your army when defeated in battle. Check out the Nintendo Direct, embedded below, for more information on Fire Emblem: Heroes, starting around the 10:17 mark. Update 8:26PM: After Nintendo initially announced that the game would hit Android on February 2 and iOS at a later date, Nintendo of America tweeted that the game will be coming to both platforms on February 2, after all.